Free bus on the island! We thoroughly enjoyed this brief visit to the Faroe islands (we had to be back on ship by 2.30pm) and was beginning to enjoy the light nights too. When we arrived, we went to the tourist office and asked about the free buses. 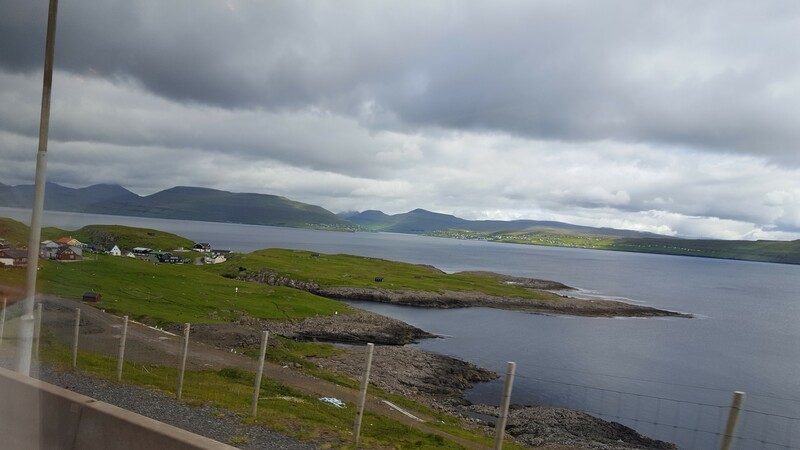 Yes, you don’t have to pay for their public transport on the Faroe Islands. A group of us then traipsed to the bus stop “around the corner”, to catch the island bus. As we waited, one lady told me she had been on two, around the world, cruises. One, one way and the other, (you’ve guessed it) the other way. On the second cruise, she knew a lot of the passengers from the first cruise. Can you imagine going on a cruise for three months? I can’t. Two weeks is quite enough. Most of the people on the cruise ship had done about “eight or nine cruises” although I suspect many had done more than that! The evening before, we sat in the pub bar on the ship having found the Lido (dancing) Lounge too dull. All ballroom/line dancing. We like to bop to pop music and have a laugh. Anyway, a chap who dines with us joined us and we watched the horizon stay light as the night went on. “It’s still light!” was laughingly repeated constantly. We all sat at the bar enjoying the cruising, drinks and company. This was when we really started to enjoy ourselves. Back to Faroe Islands. We went to catch the bus and did a circuit of the island (FOC) and eventually disembarked in the north of the area at the local cultural centre called the Nordic House that offers theatre, arty exhibitions, dance and music performances in a contemporary space. 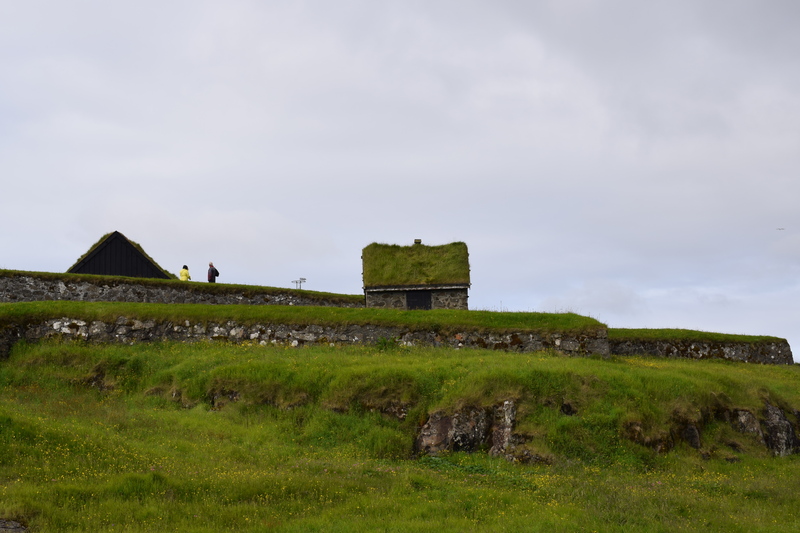 This was an interesting insight because it exhibited a selection of photos which spanned a year of life on the Faroes. After that, we walked towards the town, through a park and just had a wander. We like to do a mix of tours and independent travel when we participate in a cruise. The amount of statues around Torshavn is fascinating and I photographed a few. 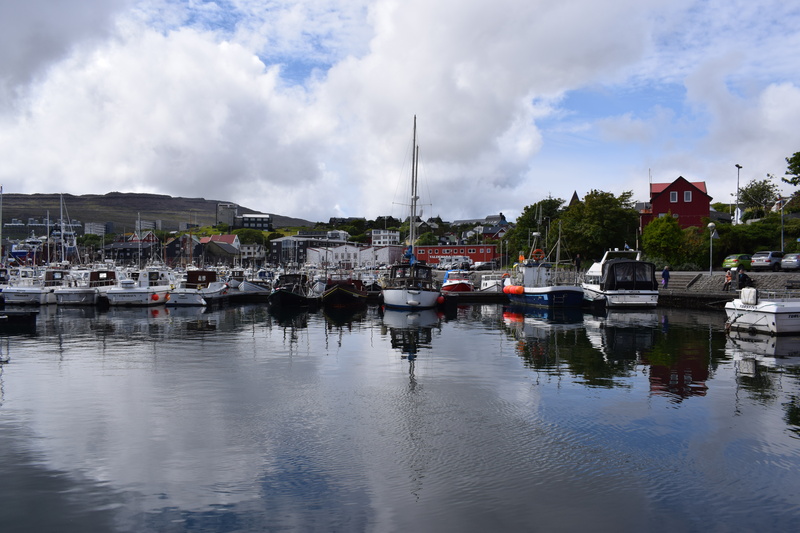 Tórshavn, on Streymoy Island, is the capital city of the Faroe Islands and the smallest capital city in Europe. 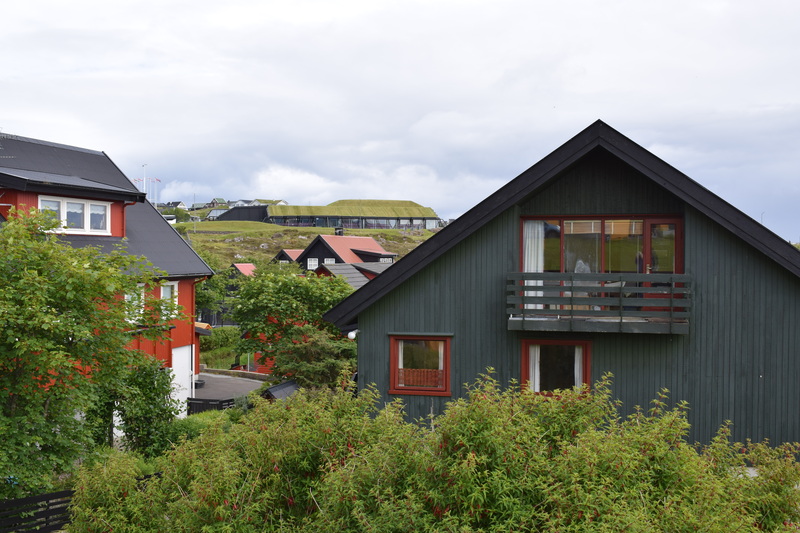 It also is known for the wooden turf-roofed houses and Tórshavn Cathedral, rebuilt in the 19th century. Local shops, pubs and restaurants are in around the main shopping strip, Niels Finsens gøta. Obviously, we found a couple of pubs and enjoyed some local beer then wandered around the harbour. 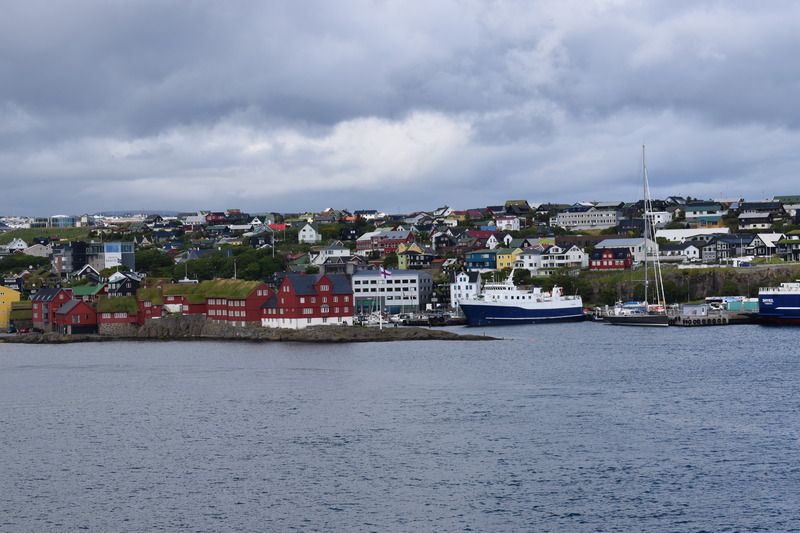 Thoroughly enjoyed Tórshavn, and our walk but we had to be back on the ship mid afternoon. Hopefully, we will return and stay longer next time.